Day 4- Frisco roundup- Utah. BLM State Lead told Steve Paige that they will now go back to the Conger HMA and set up traps to catch any stray horses or foals left behind. A week is a long time for a nursing foal to have been left behind. 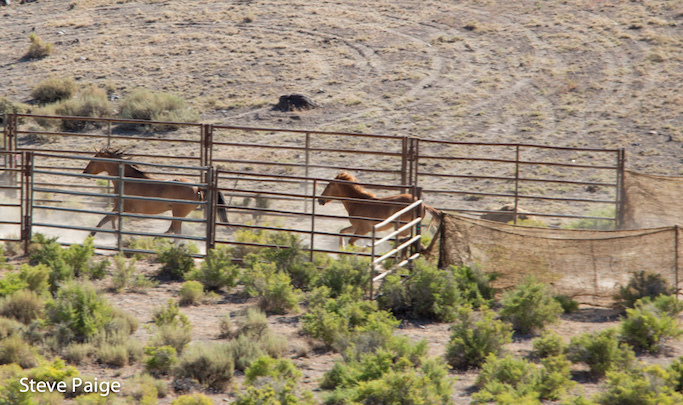 Although the public has been told that the Conger and Frisco captures are part of a ‘research’ group to study behaviors when stallions are gelded and returned to the range, local ranchers said otherwise. 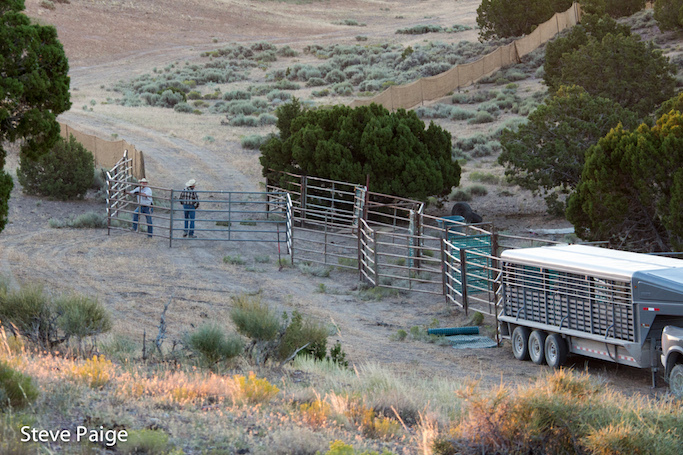 Locals complained that horses were being returned to the range at all and also complained about the number of elk and other wildlife using resources on the grazing allotment they use for their cattle. The BLM plans to schedule an additional roundup this winter to remove more horses from the Frisco, UT herd management area. Thank you to RTF’s equine team, Steve Paige, for bearing witness- It is heartbreaking to watch and even more so when you are with these horses every day and intimately understand their individual relationships, needs and personalities. These horses not only resonate with our own profound desire for freedom, they are in fact extremely social mammals, like us they have complex social behaviors and bonds. Their true nature runs tens of millions of years older than ours. Allowing this to happen is unacceptable- we can and must do better. 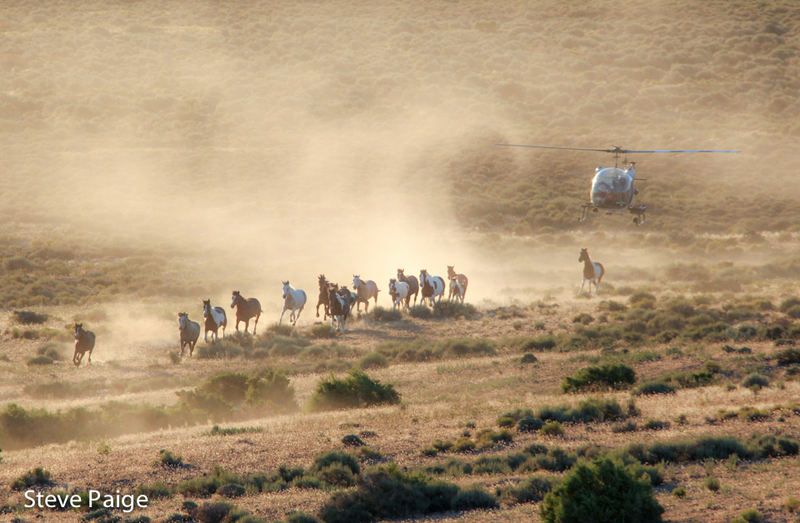 The BLM captured removed another 18 wild horses today. Bringing the total to 113 before coming to an end. After being transported to holding pens and then sorted, only about 35 of these horse will be returned to the Frisco HMA. 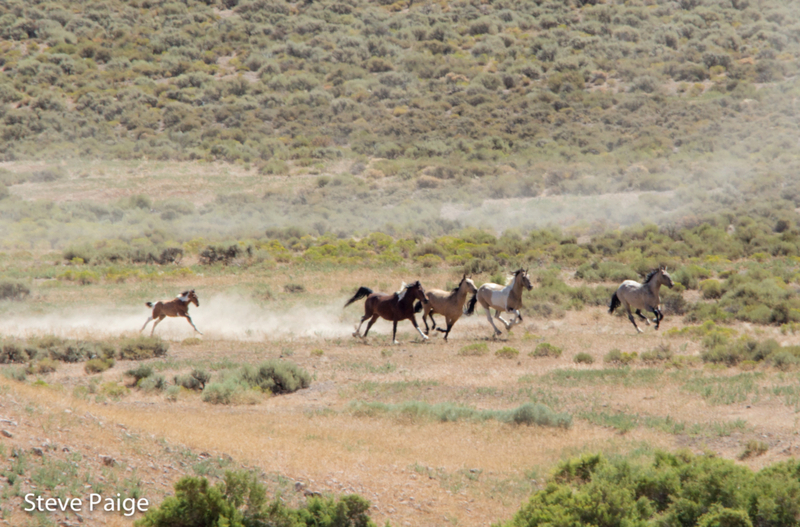 The BLM plans to schedule an additional roundup this winter to remove more horses from the Frisco, UT, HMA. Frisco roundup, Utah. July 13, 2016. The trap has been improved a- no casualties due to badly configured panels so far. 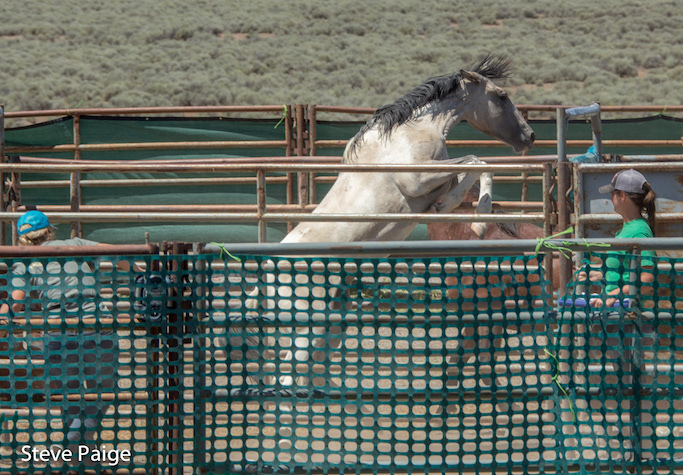 Today the BLM captured another 15 wild horses including 2 foals at the Frisco Utah HMA.Additionally, 14 horses including 4 foals managed to escape the trap today. A devastating pictorial of this small family band loosing each other today. This grey pinto stallion with his with mare and foal managed escape the trap several times. Eventually the mare and foal where lured into the trap by the Judas horse. The Stallion escaped and watched while crying out to them. 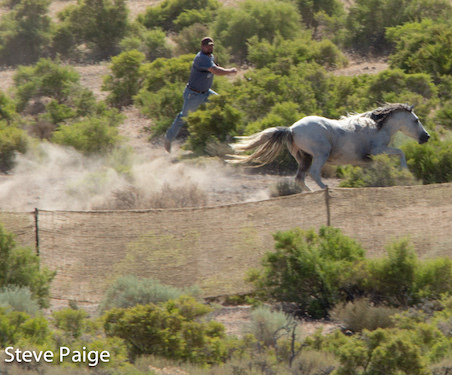 When his mare was unable to escape the trap panels, he charged down the mountain and made several heartbreaking attempts by going back into the trap to her rescue . Once the helicopters came back he finally left. Gone, but never forgotten. 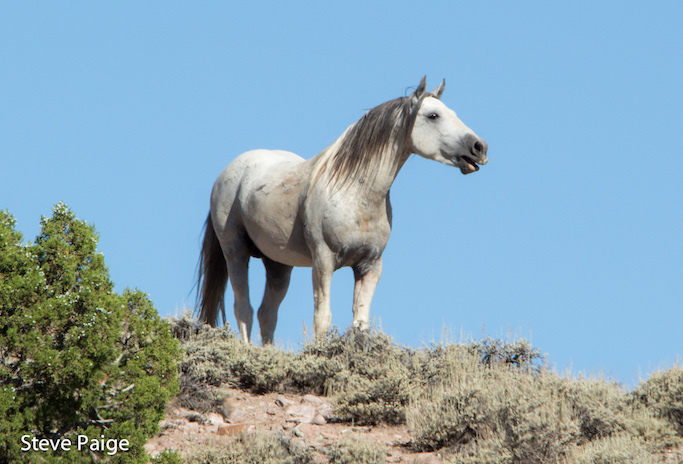 We will not stop until we do better to provide ethical oversight for America’s cherished wild horse family bands and herds. 14 horses including 4 foals managed to escape the trap todayI could see this group had a few injuries after they broke through the trap jute. Day 3, Frisco Roundup. 14 horses including 4 foals managed to escape the trap today. I could see this group had a few injuries after they broke through the trap jute. 4 foals managed to escape the trap today. Minor injuries after they broke through the trap jute. July 11, Frisco HMA. Young foals struggling to stay with their herd as they run in panic. 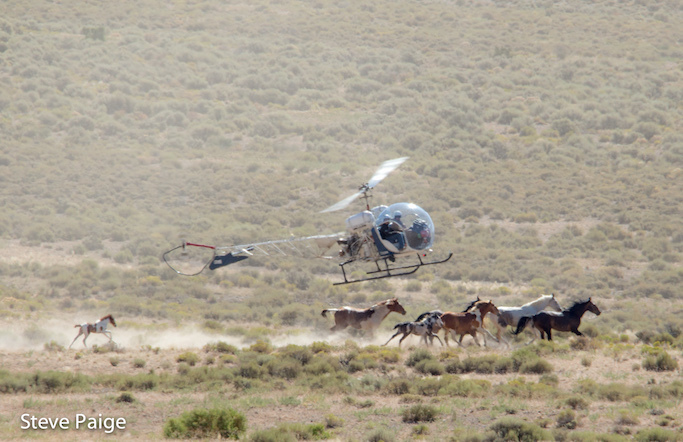 This morning the BLM began gathering and removing wild horses from the Frisco Herd Management Area (HMA), in western Utah. 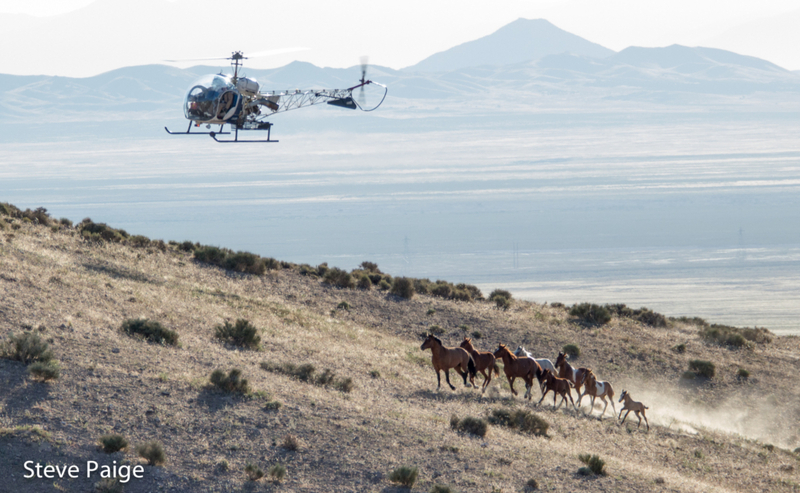 The Helicopter drive captured 36 horses (including 8 foals) on its first day. Due to high winds the roundup is scheduled to resume on Monday July 11th. 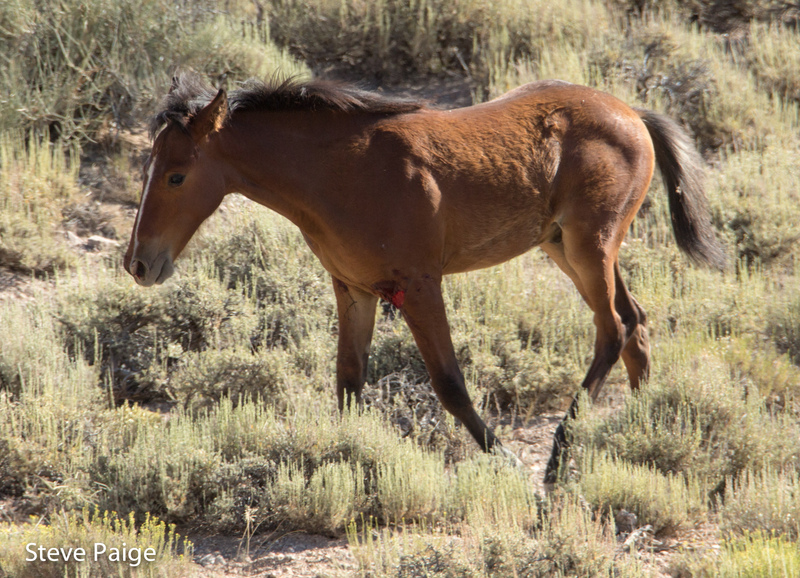 As long as wild horse family bands are being ripped apart we will not stop reporting it to the public. The way management agencies ‘manage’ completely disregards the social communities in the natural world and lacks a true ethical conservation plan for those removed and those left behind, is archaic. At the very least, we can relocate social family and bachelor bands- especially in small populations like Utah’s HMAs. Herd behavior is not limited to movement. The emotional bonds, leadership — accounting for healthy variability — is critical to restoring healthy balanced herds. After destroying the integrity of the herd, what are we studying? Fractured bands after the impact of the roundup. 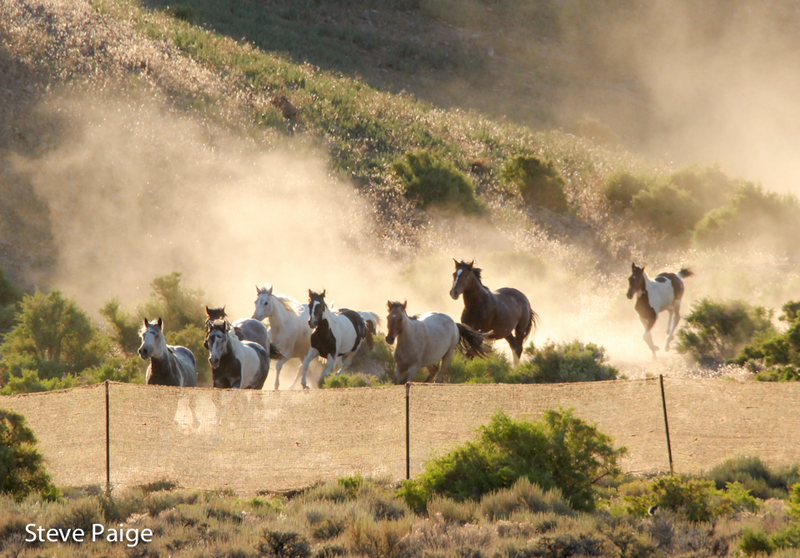 As included in a 2013 report by the National Academy of Sciences, wild horse populations left on the range after roundups disrupt the social integrity of the herds and increase reproduction. 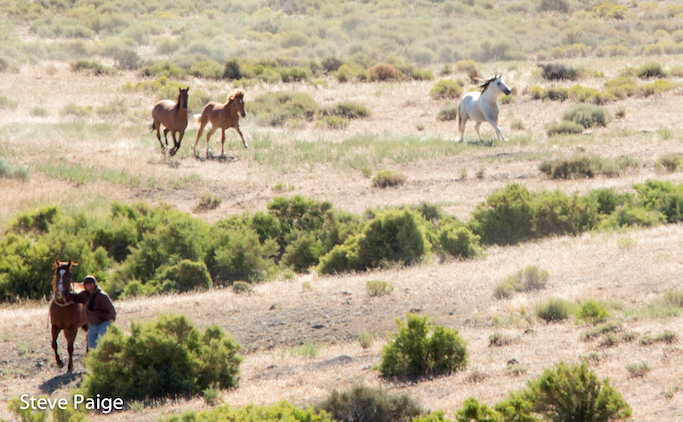 It is our opinion that with such a small population on an HMA without livestock, this could be an opportunity to implement a well-planned successful fertility control program and herd behavioral studies which could be achieved without permanently removing any horses and destroying the herds on this range. 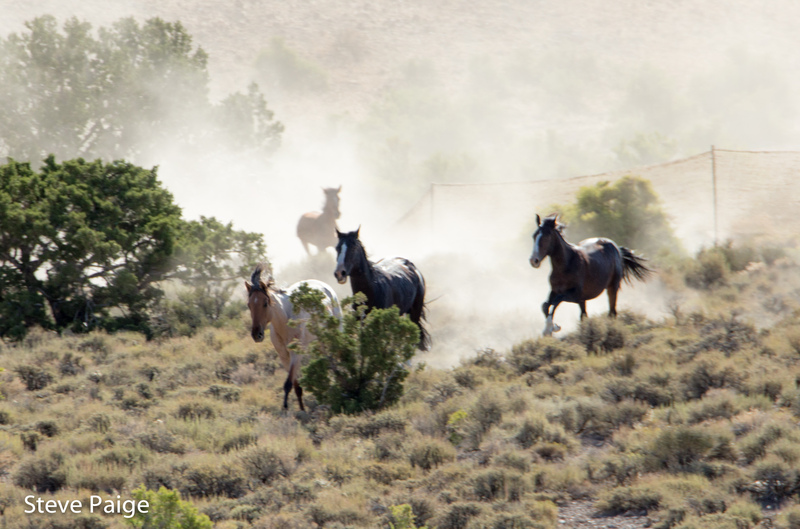 RTF implores the BLM to start working with nature and not against it. If population management is needed in an area, use the proven, safe, and humane native PZP vaccine in a judicious and minimally intrusive conservation program that works with the natural social bands. Stop wasting time and money with “research” and implement what we know works. Return to Freedom is on the ground both at the Frisco HMA for the duration of the roundup. Thanks to Steve Paige for bearing witness and reporting from the field for Return to Freedom. We will continue to expand this post throughout the duration of this event.